You'll be £12.99 closer to your next £10.00 credit when you purchase Winston Churchill. What's this? Sir Winston Leonard Spencer-Churchill is known chiefly for his leadership of the United Kingdom during World War Two. He served as Prime Minister from 1940 to 1945 and again from 1951 to 1955. A noted statesman and orator, Churchill was also an officer in the British Army, a historian, writer and artist. To date, he is the only British Prime Minister to have received the Nobel Prize in Literature, and the second person to be recognised as an Honorary Citizen of the United States. During his army career, Churchill saw military action in India, the Sudan and the Second Boer War. He gained fame and notoriety as a war correspondent and through contemporary books he wrote describing the campaigns. He also served briefly in the British Army on the Western Front in World War One, commanding the 6th Battalion of the Royal Scots Fusiliers. At the forefront of the political scene for almost fifty years, he held many political and cabinet positions. 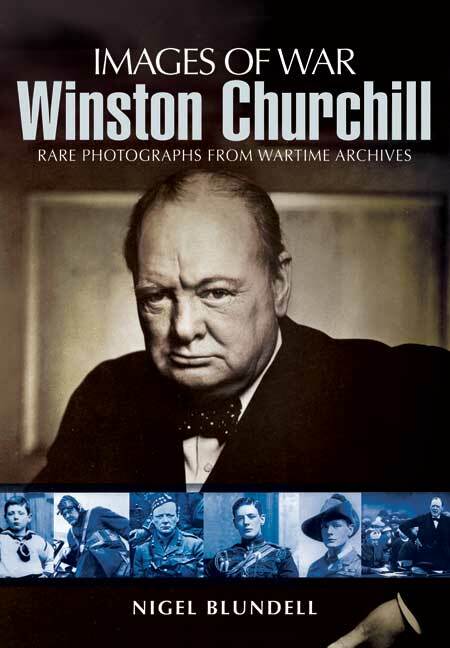 This unique images title contains many rare and unpublished photographs of Churchill throughout his military and political career. It would be fair to say that Winston Churchill is one of those individuals about which the most has been written. Despite this, it is not often that so many pictures of this remarkable political leader's life appear in one publication, though this is exactly what Nigel Blundell has done in the latest of Pen & Sword's well-established 'Images of War' series.